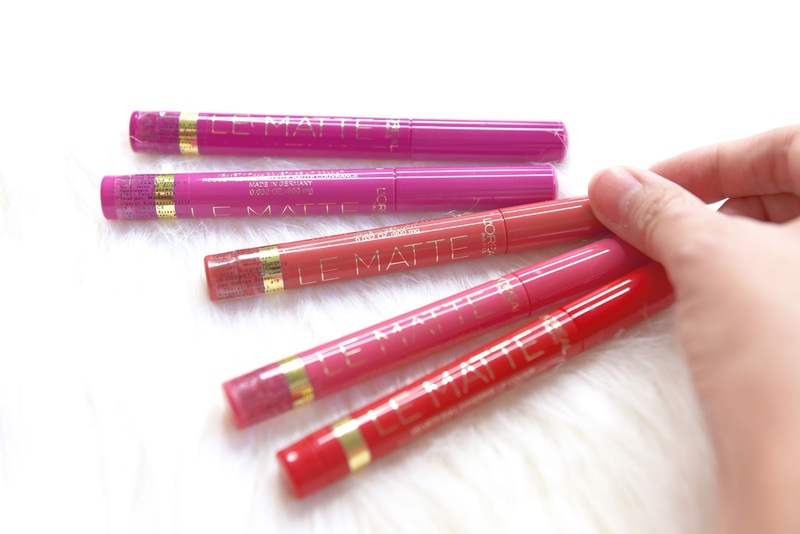 I'm back with awesome L'Oreal makeup goodies to share with you! Never underestimate the power of our eyebrows, it's the one thing i can never live without as our brows frames our face hehe! It's your pencil, powder & brush all in 1 woohoo! And good news! They have 5 shades now to match the different hair colours you might have. 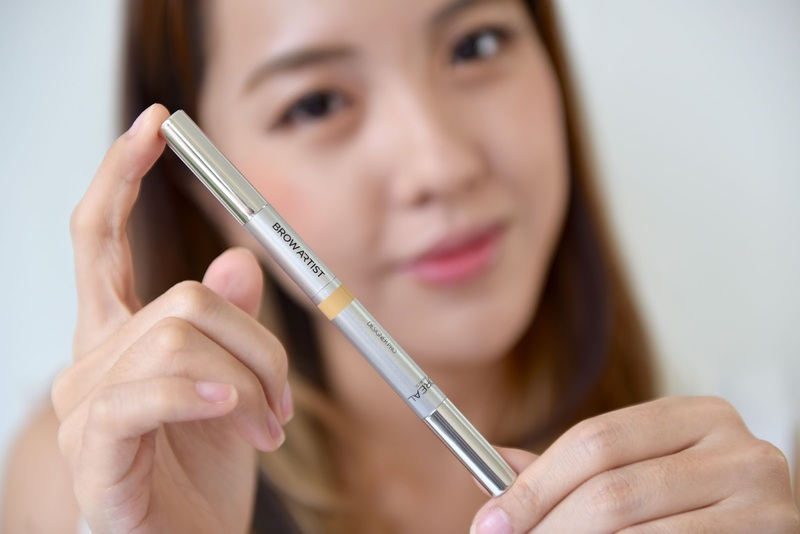 Simply define your brow arch and shape with the pencil liner. Fill in and intensify the look with the powder. 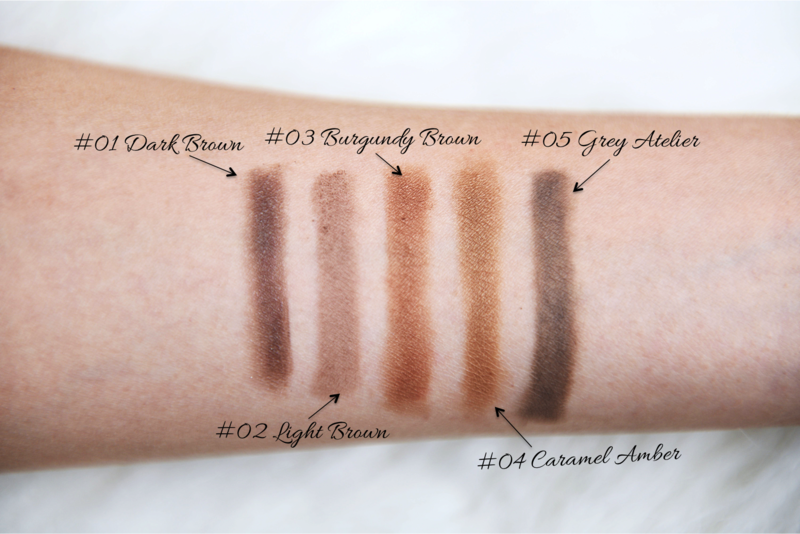 Finish off with the soft spooley brush to soften and add texture to your brows. Voila! Grooming my brows is just so easy with these 3 simple steps! I'm especially loving how pigmented the brow colour turned out to be and it's super smooth gliding! If your hair is of a light colour, try to keep your brows one shade darker. If your hair is dark, keep your brows one shade lighter. 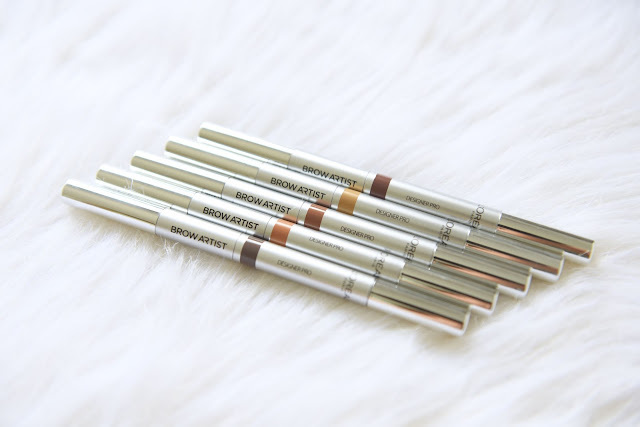 You won't want your brows and hair to match exactly hehe! 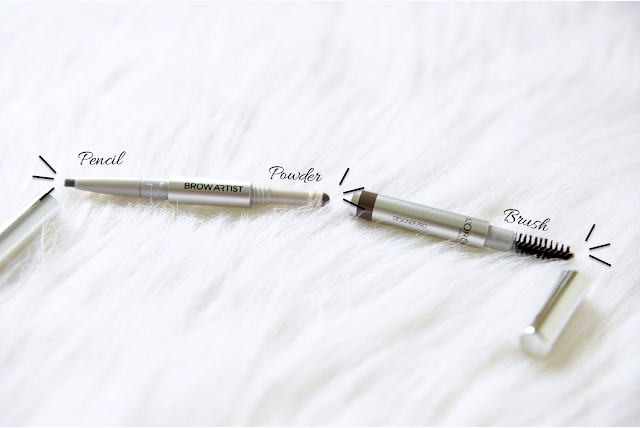 Another one of my favourite use for this 3 in 1 Brow Designer would be to use it to contour my nose! Higher nose bridge woohoo! I'm so going to stock up on the Caramel Amber shade hehe! 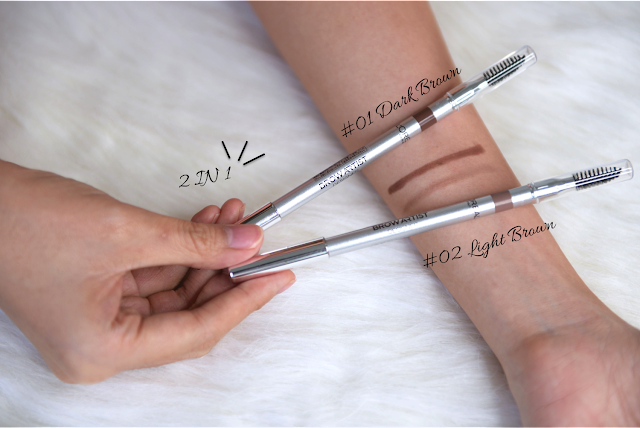 For first time brow users, if you find the 3 in 1 steps a little complicated, you might want to try out the Brow Designer 2-in-1! The brow cream pencil is really smooth-gliding & pigmented too! 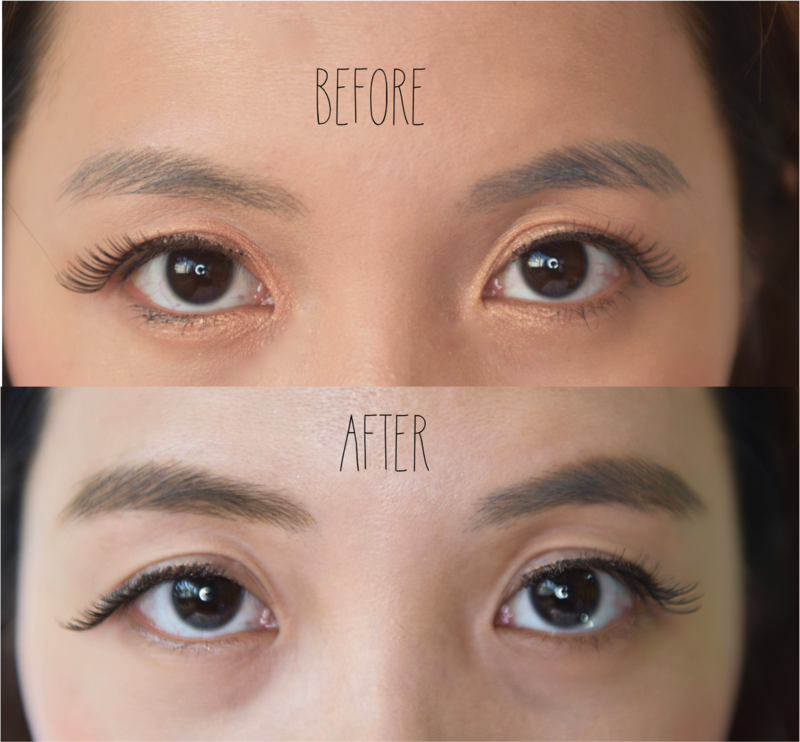 No more tugging on your brows just to get the brow colour out haha! 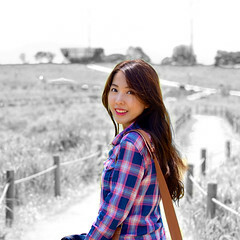 Last but not least, always dress your smile with a cute pop of colour! 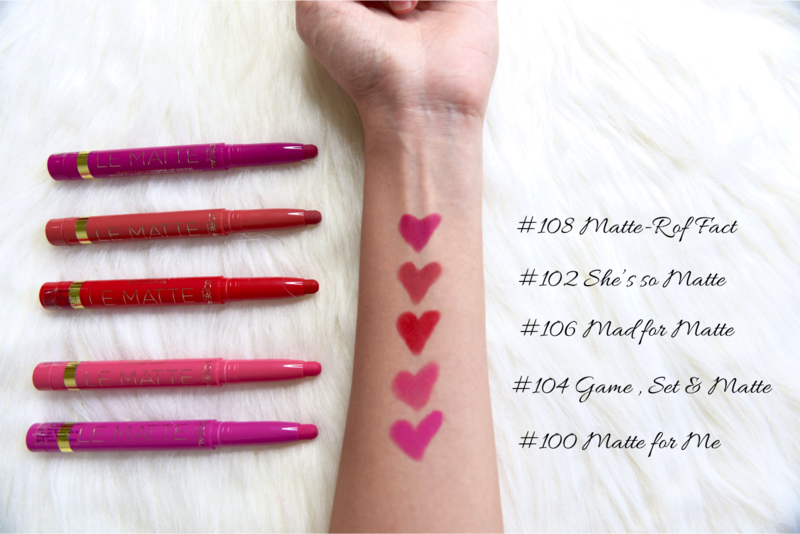 Hot off the shelves from USA, the NEW Le Matte Lip Crayon Pen (S$21.90) is finally hitting the stores!!!! 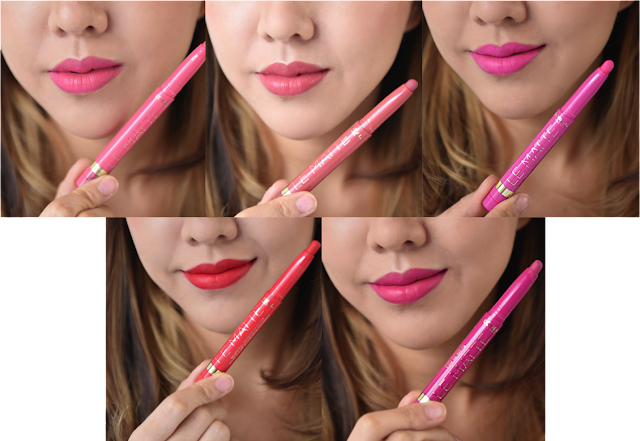 It comes in 5 shades from vibrant pink, berry tones, red hues as well as nudes. I love the cute names for the lippies too! 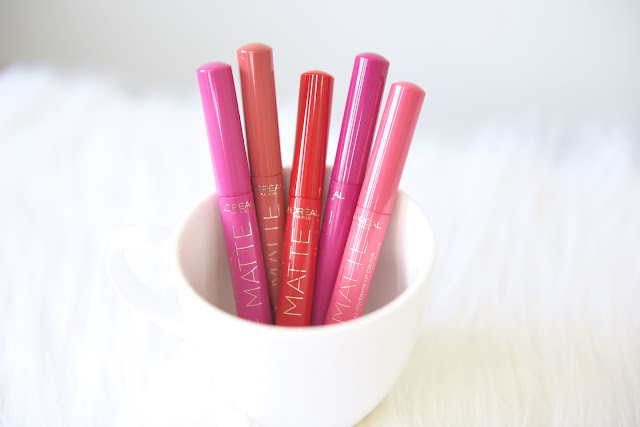 They instantly won my heart once I saw how easily it glides on my dry lips for a matte crayon lippie! But, after trying these out, I had to slip them into my bag everyday! I can't decide which is my favourite shade, what's your pick? Visit www.loreal-paris.com.sg to learn more about L'Oreal Paris Makeup.